Oriflame Hair Colour in 6 Shades! Every women does not want to look old. That's why she takes care of herself. She goes to parlor regularly. Specially for her hairs. Grey hairs are a big problem for women. She often goes to parlor for hair colour and touch-ups. Women has to go parlor twice a month for touch-up. That is little time consuming because you have to take appointment in parlor. To take time out for parlor in busy schedule is little difficult. Now every women having grey hair don't need to worry because Oriflame has launched a range of hair colours. Now you can do colour and touch-ups at home. It is made of Advanced Smart Technology. Due to which your colour is long lasting and it is 100% grey coverage. And it contains Linseed oil which is very good for hairs. It gives radiant shine and silky softness to your hairs. 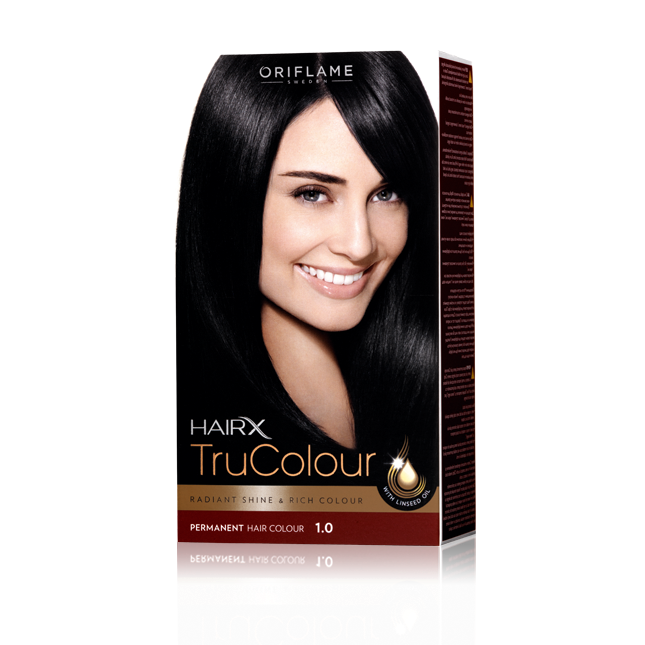 Keep your hair colour more long-lasting by HairX TruColour protect range. It contains Shampoo, Conditioner and Leave-in Treatment. It will protect your hair colour. It contains UV filter to protect against UV & free radicals. It has Baobab Leaves extracts that defend against fading. The intense treatment softens hair and locks in colour. It keeps Prolong INTENSITY of colour up to 7 weeks**. There is an launch offer for the hair colour. Choose your HairX Trucolour from this month. Continue to buy HairX Trucolour from June and July catalogue. Get the 4th pack for FREE instantly along with your July catalogue order.